In its simplest form the fee is calculated as the sum of the CAM components ($) divided by the total net leasable space (ft2). 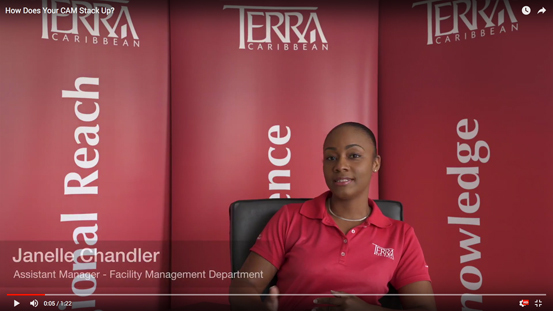 Based on the above data R&M- Plant & Equipment, Management Fees and Security are common top contributors to CAM fees for Commercial office and retail properties in Barbados. 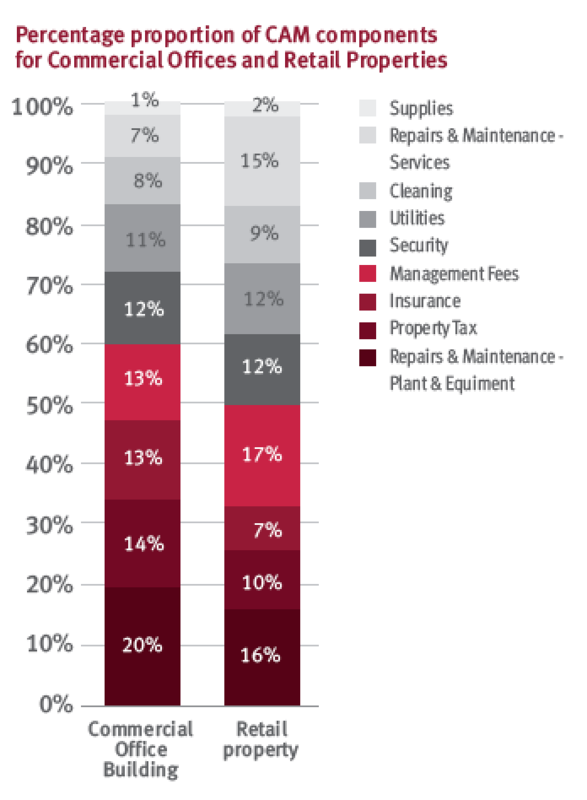 Air conditioning accounts for approximately 50% of the R&M – Plant & Equipment costs. About half of the costs regarding R&M – Services comprise of décor, advertising and marketing. Implement and continuously monitor a robust planned preventive maintenance (PPM) schedule. 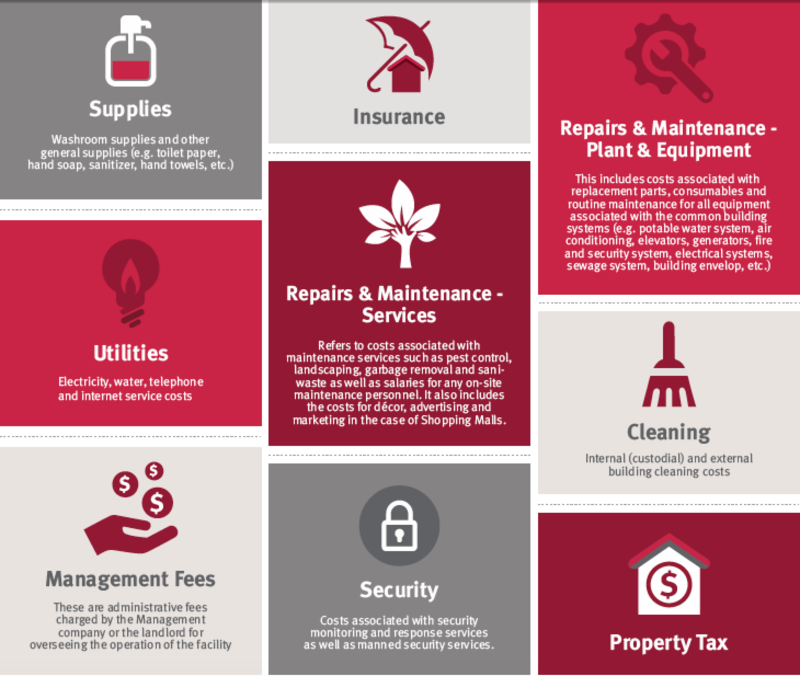 Use life cycle costing analysis to govern your (Landlords/Developers) decision-making process when selecting equipment for major building systems which bear significant capital and maintenance costs paying attention to warranty specifications. Improve/install electronic security infrastructure that would eliminate the need for Manned Security. The only possible way to reduce this component would be to file an objection to have a review of the Land Tax assessment, however, there is no guarantee that it will change, and there is the possibility that it may increase as a result of the re-assessment. CAMs are generally composed of nine (9) components as shown in the above chart. The composition of these components may differ across properties due to facility features and functions which some properties may possess that others don’t, and as a result, the top CAM contributors may vary as well. Landlords should carefully assess their CAMs to determine how best to structure the CAM provision in their leases, while on the other hand, tenants should seek to understand the CAM composition and their contribution. Taking this approach can lead to successful lease negotiations.